A look behind the numbers at the world’s biggest domain name registrar. Yesterday I wrote about Go Daddy’s revenue for 2009, and I extrapolated that the company grossed $600 million this year. That’s an incredible number — but the real number is even higher. In his opening remarks at the Go Daddy holiday party this past weekend, CEO Bob Parsons announced that the company has topped $750 million in revenue in 2009. This is for a company that was founded only a decade ago and didn’t take a dollar of venture capital. Employees: Go Daddy employs more than 2,400 people, and is still actively hiring. About 65% of the work force — nearly 1,600 — work in customer service. Resellers: The company has about 32,000 active reseller accounts. Web hosting: Go Daddy is hosting more than 3.8 million web sites. Domain names: Go Daddy registers a domain name every second of every day. Its main registrar GoDaddy has about 33.5 million domains registered. Its reseller arm Wild West Domains has about 3.3 million domains registered, according to RegistrarStats. 1. Their inredibley complicated interface which is constantly changing. 2. The fatct hat they charge $39 (or whatever) when you lose a UDRP. 3. Their annoying lowball offers to broker domain sales. to feature a domain and essentially hides all other domains. 5. 15 minute wait time for support calls. 6. Sexist commercials that demean women. familyAlbum.com after they deleted his generic domain due to a complaint about false whois (the complaint turned ou to be false) The domain was backordered and ended up in the hands of the person who complained about the whois. 8. Their relentless upselling which makes checking out a nusense. I love GoDaddy. For me they are the best web hosting company. What I’ve pointed out since 2006 is that the largest Domain Registrar and aftermarket product company, GoDaddy, literally washes avoids, at all costs, a prominent presence at any domain conferences and events. 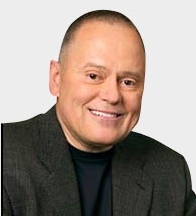 The disdain and contempt by Bob Parsons for the very industry he’s manipulated brilliantly into a huge “Hustler” style empire, is obvious for anyone who cares to take a look. I’d have more respect for GD if they participated in a major role in future domain investment conferences, big and small. It’s not like they can’t afford it.